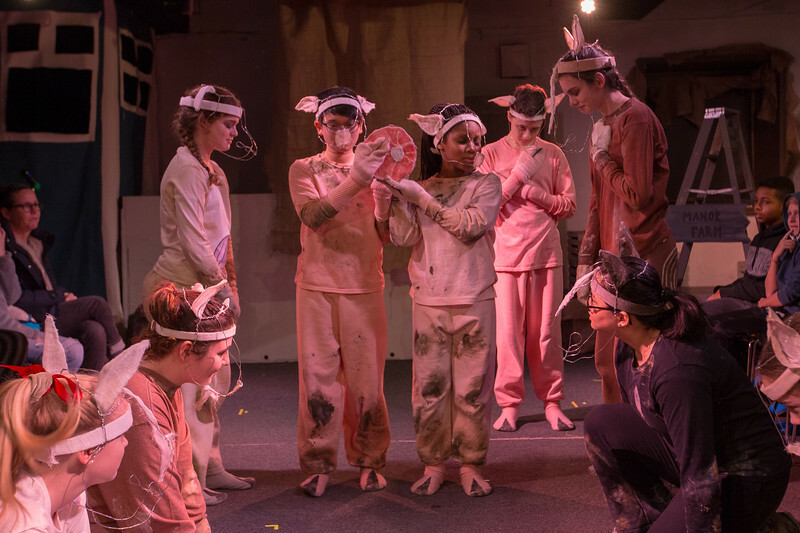 On Thursday, Feb. 8, Friends middle schoolers performed a rendition of George Orwell’s “Animal Farm”. The students put on a great show, lead by Director Shayna Strype and Assistant Director Heather Nielsen. Original compositions for the score were written by our own Fouad ’18.